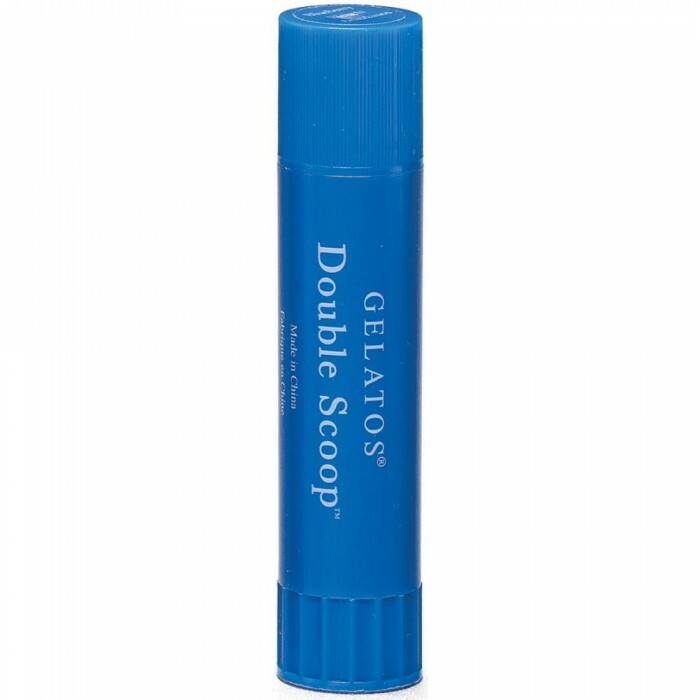 FABER-CASTELL - Gelatos Double Scoop - Blueberry. Twice bigger than regular Gelatos. The luscious acid-free pigment sticks glide on creamy vibrant color and blend beautifully with or without water. They work great on dark papers and on smooth and textured surfaces; even flocked paper and canvas. Color coordinated palettes give you the freedom to design your project knowing the colors will work beautifully together. Perfect for all you design; memory and craft projects! Possible techniques - stamping: traditional method of applying color directly to the stamp and reverse stamping-a subtle technique created by laying down a field of Gelato color on paper and using a stamp to remove some of the color.